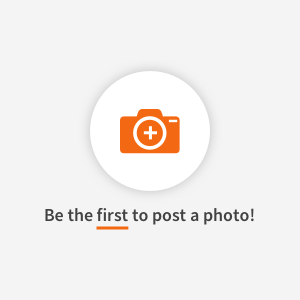 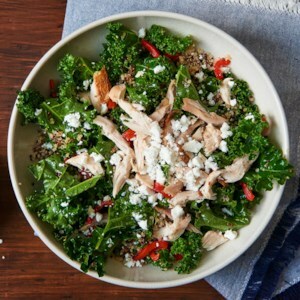 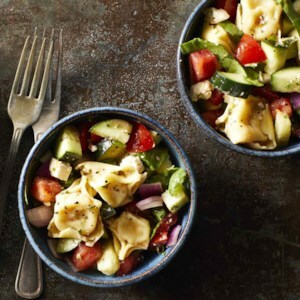 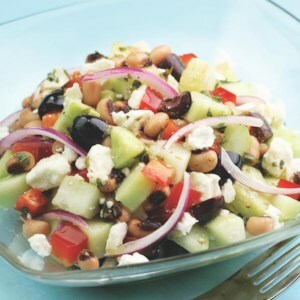 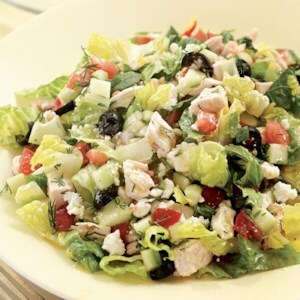 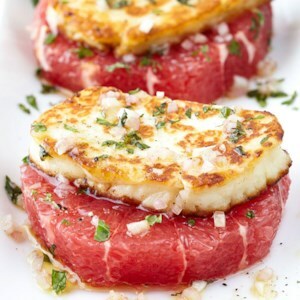 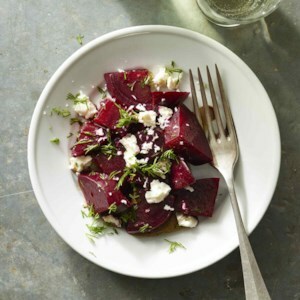 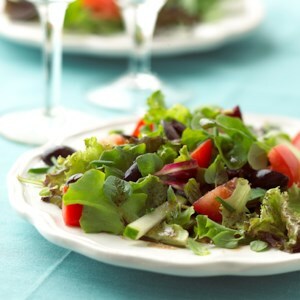 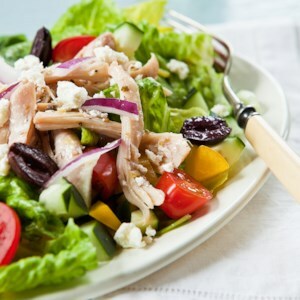 Find healthy, delicious Greek salad recipes, from the food and nutrition experts at EatingWell. 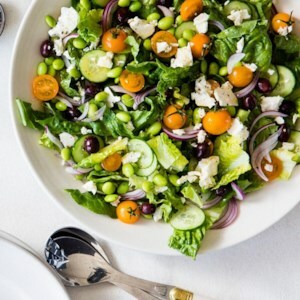 Briny feta, tangy buttermilk and fresh herbs combine in a yummy dressing for steamed green beans in this healthy side dish recipe. 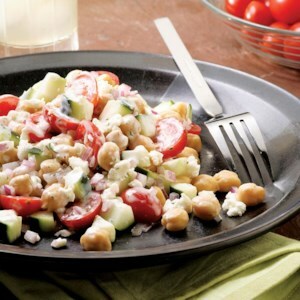 Serve with grilled chicken, pork or steak for an easy dinner. 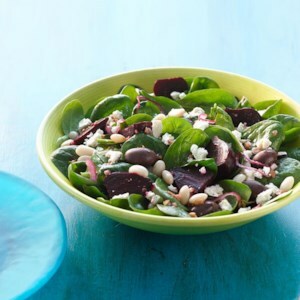 Salty feta, briny olives and earthy beets give a Greek feel to this vegetarian spinach dinner salad recipe. 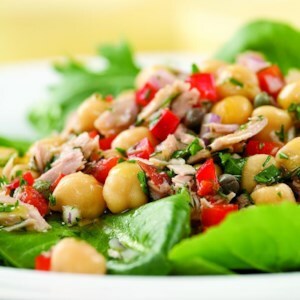 We prefer the taste and texture of freshly cooked white beans, but you can skip that step and use 2 cups rinsed canned white beans instead. 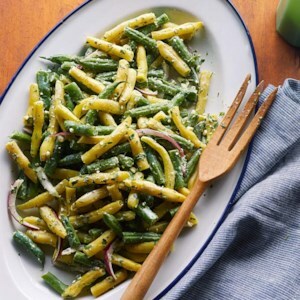 If you have a special olive oil, now's the time to break it out. 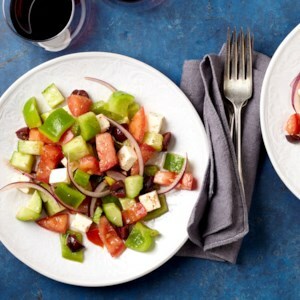 This quick tofu salad is flavored with feta, onion, olives and lemon. 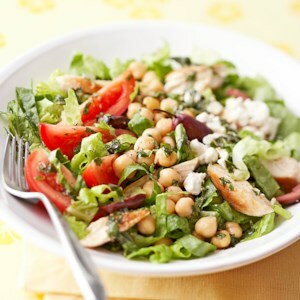 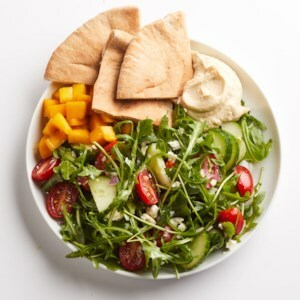 Make it a meal: Spoon the salad into toasted whole-wheat pitas and add lettuce leaves. 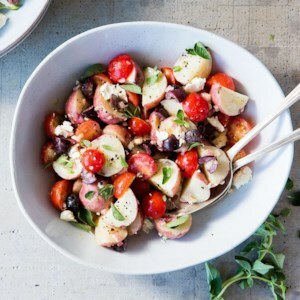 This attractive, full-bodied dish celebrates the Greek flavors of feta, black olives and plenty of oregano.